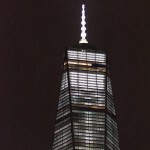 On an early Sunday morning in late September, 30,000 people from all over met at the mouth of the Brooklyn Battery Tunnel to make their way together to the site of the World Trade Center. 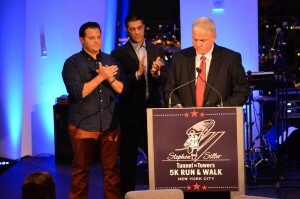 This annual 5K memorializes the last act of bravery by firefighter Stephen Siller, who on 9/11 ran through the tunnel to the Twin Towers as a first responder on the tragic scene. He never came home that day. 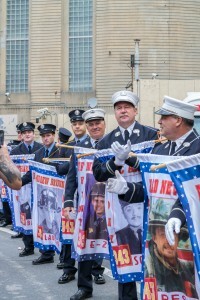 Stephen’s siblings created the Tunnel to Towers event to remember their brother’s heroism and honor all our nation’s heroes—those selfless servants who every day put their own security on the line to protect, defend, and save lives: firefighters, police, emergency medics, and military service members. 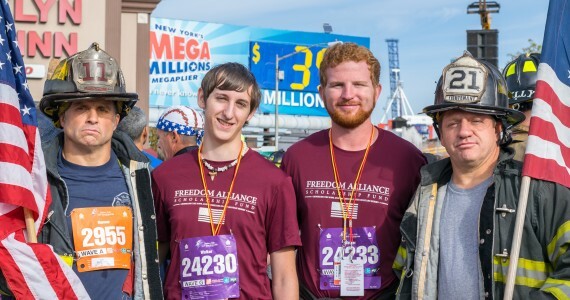 Freedom Alliance participates every year, and, with the Siller Foundation, ask one of our scholarship recipients—students who have lost a parent in military service—to be a special guest of honor. 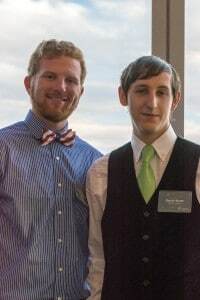 This year’s student was David Smith. David’s father, Sergeant First Class Paul R. Smith was posthumously awarded the Medal of Honor for his “extraordinary heroism and uncommon valor.” In 2004, Smith’s task force was working near the Baghdad International Airport when they were attacked by a large enemy force. Under siege, the sergeant organized a defense and exposed himself to save his 100 comrades. Because of his actions, the enemy was defeated and many wounded soldiers were safely evacuated. Paul Smith was mortally wounded during the clash, and his sacrifice affects his son David every day of his life. We first visited the World Trade Center Memorial, taking in the “Reflecting Absence” pools and the bronze plaques listing the 2,983 names, who, like Stephen Siller, went to the Twin Towers on the morning of 9/11 and didn’t leave alive. For some lighter entertainment, Our Town New York tour guide Brian Sullivan escorted us to sites around the city, including Greenwich Village, Brooklyn, the High Line district, and St. Paul’s Chapel at the Cathedral of St. John the Divine. (The latter is where recovery workers found relief after the Twin Towers fell, and the church considers it a miracle that it wasn’t destroyed on that fateful day.) We enjoyed hot dogs at Gray’s Papaya and “the best hot chocolate in the world” at Jacques Torres Chocolate. On the Saturday night before the event, we attended the Tunnel to Towers VIP dinner at the One World Trade Center Observatory, which is the tallest building in the western hemisphere and presents a panoramic view of the city. Among the audience of 250 were many service members who had been wounded in combat. Comedian Joe Piscopo, American Idol finalist Jax, and Clyde McPhatter and the Drifters provided entertainment. 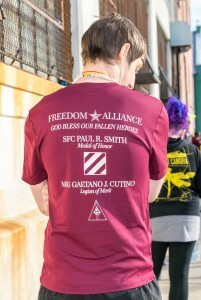 Then, Freedom Alliance president, Tom Kilgannon, told the story of Paul R. Smith’s bravery in Iraq and introduced David, who was granted the Richard Sheirer Freedom Alliance Scholarship Award. After a resounding ovation, the young man spoke about his dad’s character at home and the impact he’d made on David. With these personal memories of family and kindness, the audience was moved to tears and another spirited applause. The next morning we gathered with the other walkers and runners for the Tunnel to Towers. During the race, a man noticed the name on David’s shirt—“SFC Paul Ray Smith”—and the patch for the Third Infantry Division, also known as the “Rock of the Marne.” He patted David’s back and yelled, “Hooah!” which was echoed by David. The weekend was filled with such meaningful moments. “Unforgettable,” was how David put it. The event was important at the very least; but even more than that, it was momentous. 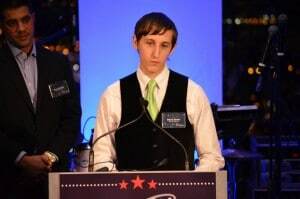 When we see young people like David Smith and Anthony Cutino, honoring their fathers’ legacies, it makes us proud to support them. They call us their family, and the feeling is mutual. We see them and know that, because of the sacrifice of our military and other first responders, we can come home, and we can feel safe. And although we can’t replace those we’ve lost or turn back time, Freedom Alliance will be there for those who survive, and we will together remember.